Perhaps Sir Edmund Hillary - the New Zealand mountaineer and explorer - said it best when he remarked, "It is not the mountain we conquer but ourselves." No matter how daunting the task, pure human ambition has overcome unconquerable odds to subdue the tallest peaks in the world. If mountains are the "stairway to god's heart", we have no doubt stood beside him as equals. The following photoset celebrates the beauty witnessed along the way. 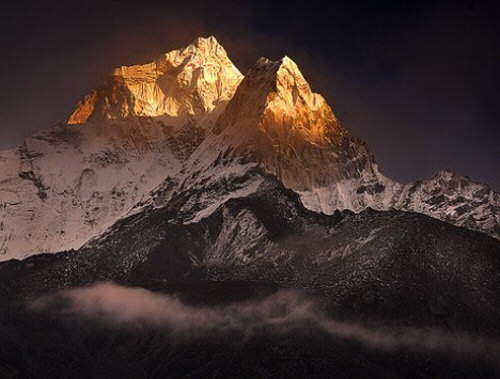 First climbed in 1961 by the team of Mike Gill, Barry Bishop, Mike Ward, and Wally Romanes, Ama Dablam is a mountain in the Himalaya range of eastern Nepal. Literally meaning 'Mother and Pearl Necklace' the peak was adopted by UK's Invesco group as their worldwide logo and signature. After a 2006 avalanche a climbing permit along with an officer are required before you can climb Ama Dablam. The Shivling mountain, so-called because of its status as a sacred symbol of the Hindu god, Shiva, literally means 'the phallus of Shiva'. 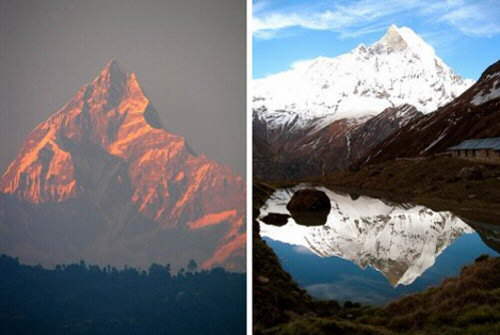 Considered one of the most stunning peaks of the Garhwal region, the mountain soars 21,329 feet high. The Tapovan meadow which lies between Shivling and Gaumukh has become a popular pilgrimage site due to the stunning view of the mountain from that location. Machapuchare, or 'fish tail', is revered by locals as sacred to the god Shiva and therefore has been declared off limits to climbing. At about 1,500 feet taller than Shivling, Machapuchare has never been climbed to its summit. The only known attempt at accomplishing the feat fell 50m short, after which the mountain was declared forbidden to climbers. 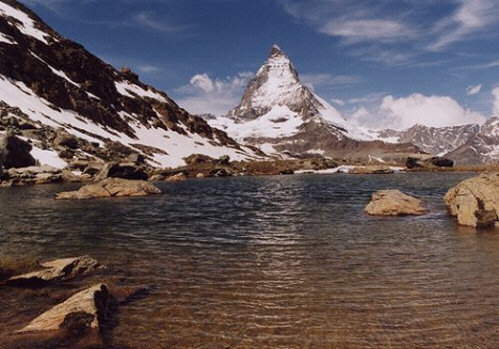 Matterhorn has the distinction of being an iconic emblem of the Swiss Alps even though it isn't the tallest peak in the region. Because of its status as a huge tourist attraction and one of the best known mountains in the world, authorities have taken extensive measures to build tourist facilities to make the mountain more accessible to novice climbers. 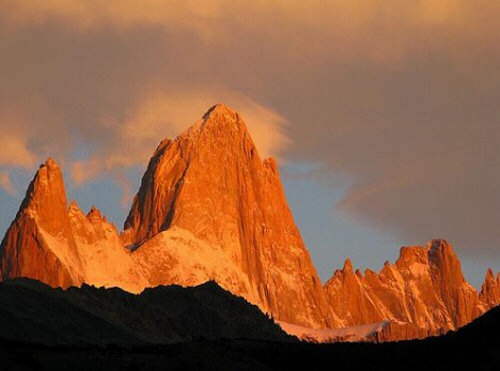 Named Fitz Roy by Francisco Moreno after the Beagle's captain Robert FitzRoy, the mountain is isn't the tallest peak in the region and is less than half the size of some of the Himalayan peaks. 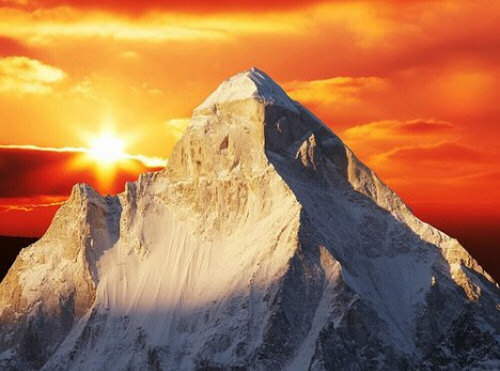 However, extreme weather conditions and the difficulty of the climb has won the mountain the reputation of being extreme. The mountain is alternatively known as Cerro Chaltén. 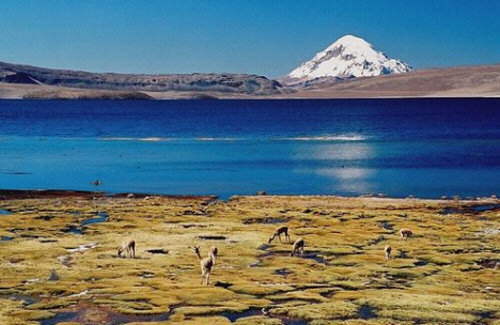 Sajama is better known as a volcano (though extinct) but is technically a mountain of volcanic ash. The highest peak in Bolivia, it is 21,463 feet high and is known for some of the tallest trees in the world, at 5200m. The first attempt to climb the mountain came from Joseph Prem in 1927, though the he wasn't successful until August 1939 with the help of Wilfrid Kuehm. To their credit they took the much more difficult southeast ridge to accomplish the feat. 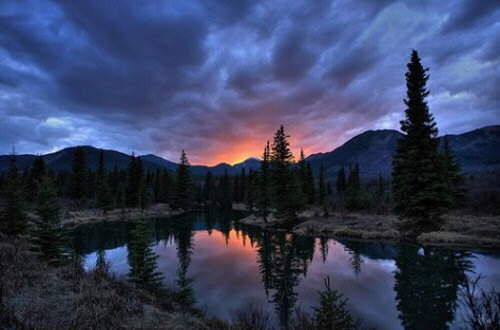 The Canadian Rocky Rockies have five national parks located inside, including four that comprise the Canadian Rocky Mountain Parks World Heritage site. We opted to profile the Canadian Rockies because they're older, heavily glaciated, and have a very distinct appearance (sharp peaks separated by deep valleys). Mount Robson and Mount Columbia serve as the mountain's highest peaks at 12,972 and 12,293 feet respectively. Lining the Nepal-Tibet border, Pumori - or 'Unmarried Daughter' - is a popular climbing route in spite of avalanche danger. 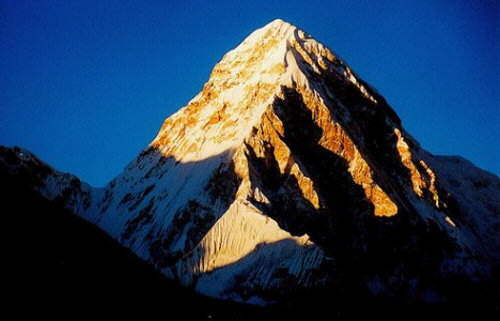 Because of its proximity of Mount Everest, Pumori is often endearingly called 'Everest's Daughter'. The view of Everest from here is considered to be one of the best, given clear weather conditions.